As it's nearly Christmas most of you lucky ones have probably got a lot of people coming over for a family get together, or mates round for a quick booze up. So you'll probably need something fun to play that isn't just your usual online Call of Duty frenzy via your Xbox one. 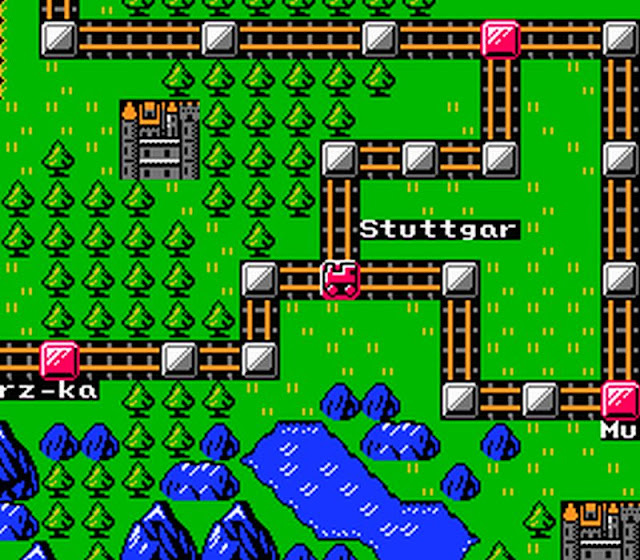 So here we have Tetsudou Ou: Famicom Boardgame, aka Railroad Baron for the NES, which is a 4 player game that has been fully translated into English by Jink640, MrRichard999 and Proveaux. Before you get too excited this isn't a transport tycoon game as such, but a NES title based around a board game where up to 4 players compete against each other to own the most railroads, the most money in the back and to get your passengers to their destinations. 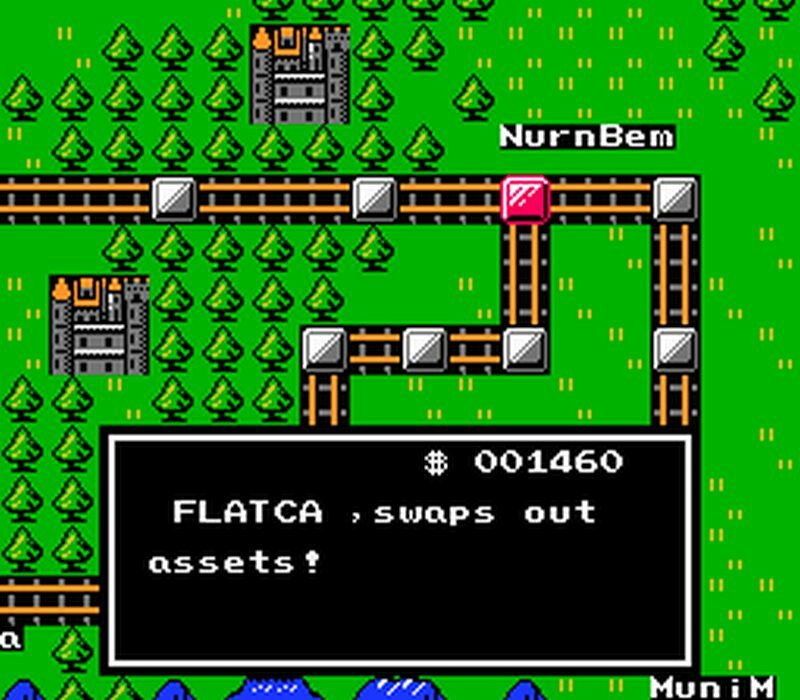 As Romhacking puts it, "The goal of the game is to acquire the most assets and cross the destination points as much as possible in competition with your other players". This game although 98% complete with a full English translation, does have the odd glitch mainly names on the board, but that's about it and it's still fun to play!